The most amazing thing about the outcome of the American Revolutionary War was that after the fighting was over, the colonies agreed on a new government and wrote a new constitution. A new nation was born, the United States of America. George Washington was a pivotal part of the creation of the new nation. I find the creation of the Constitution to be a miraculous time, with the delegates led by God to come to compromises and find solutions. However you feel about the Constitutional Convention, it is nice to see it’s creation in terms of American history. For the youngest kids, maybe you don’t need to do much. For others, it may be fun to discuss some of the events and issues delegates faced. How easy would it be to have your own group (family/class) compromise as you create your own government or rules? Read We the Kids by David Catrow to understand the preamble and have the kids could make their own preamble of rights. Read A More Perfect Union by Betsey Maestro* and test your knowledge of the Constitutional Convention with digital task cards. Learn the Preamble to the Constitution with a free copywork download of the Preamble. Learning about George Washington is very important since he was the first president of our country. Although he was given much power, he did not overstep the Presidency. Because he was first, he set the precedent for how the Constitution should be interpreted. 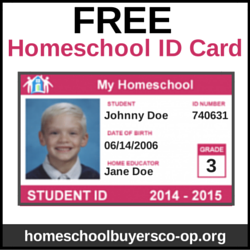 See some explanations about the significant precedents he set (geared for teachers or older students). George Washington’s Teeth by Deborah Chandra & Madeleine Comora is a humorous but true rhymed story about George Washington’s dental problems, from 1773 until his death. Did you know that poor George had horrible teeth and only had one natural tooth remaining at his inauguration as president? The book is a lot of fun as it shows the number of teeth George has at each of the major events. Plus is shows funny ways that he lost his teeth. rotten teeth I suppose are never funny (and George Washington would be rolling in his grave to know we are laughing at it since he hid his dental issues from the public his whole life) but maybe it will prompt your kids to brush more often! You could also make a teeth mold like George did to make his fake ones. 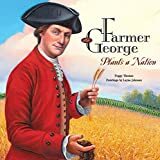 Farmer George Plants a Nation by Peggy Thomas* focuses on George Washington’s true love: running his farm in Mount Vernon) and compares his work on his farm to his political work in building the new nation. I loved the honest look at how his life may have been (with slaves and with the need to run a farm) and I loved that it showed his own innovations to improve the way the farm ran. He tested various fertilizers, he invented a plow, he designed an indoor threshing barn. As he watched over soldiers during the war years, he requested accounts of the farm animals, the new orchard, and more. he wrote in 1788. So ends this gorgeous picture book as well. George Washington and the General’s Dog by Frank Murphy helps give personality to General Washington during the war years! George Washington’s Breakfast by Jean Fritz. Read the book and make some George Washington food. George Washington’s Mother by Jean Fritz. George Washington’s Birthday by Margaret McNamara. A funny story about George’s childhood to help separate true from fiction. Read Washington’s 110 Rules of Civility. What manners are still expected today? Check back tomorrow for more American History learning ideas!